How fabulous is this book? 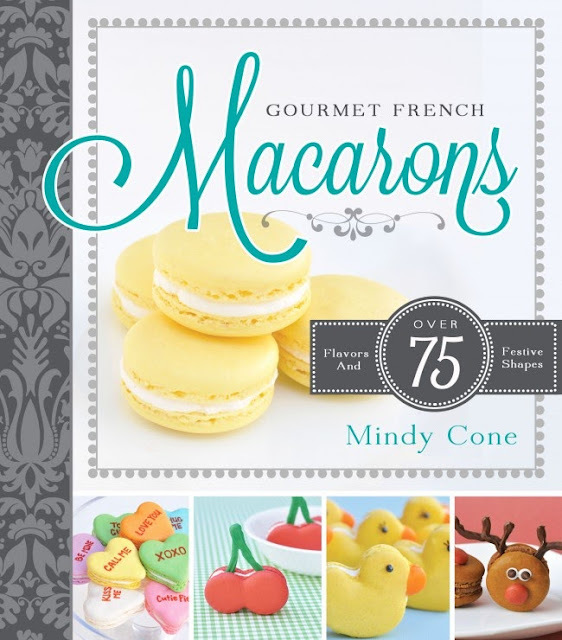 Gourmet French Macarons shows us a unique and creative spin on a classic French cookie. It includes recipes, techniques, styling ideas, templates, and decorating tips that give the popular classic French macaron sandwich cookie a modern and whimsical makeover. 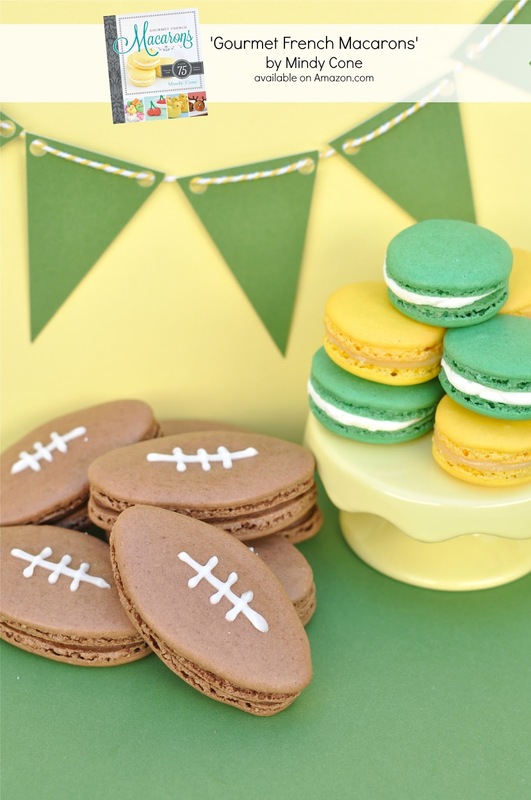 There are over 75 unique and creative designs to make your French macarons delicious AND adorable for any holiday, season, or life celebration. With over 75 flavorful filling recipes, there's a macaron for everyone. A CD is included with the book that has printable templates to make piping circles or unique shapes so much easier. You have to love that. Using this book you are no longer confined to the conventional circular shape! You can make apples, pumpkins, ghosts, trees, flowers, animals, cupcakes, and many other shapes to fit each season, holiday, or life celebration. How fabulous is the author? Mindy not only wrote this book, she photographed it too! Mindy is an entertaining, food, and party stylist on the blog Creative Juice. She writes about how to entertain guests and kids with style and creativity! She shares DIY tutorials, recipes, tips, tricks, and ideas to make your next event detailed, personalized, and of course creative! 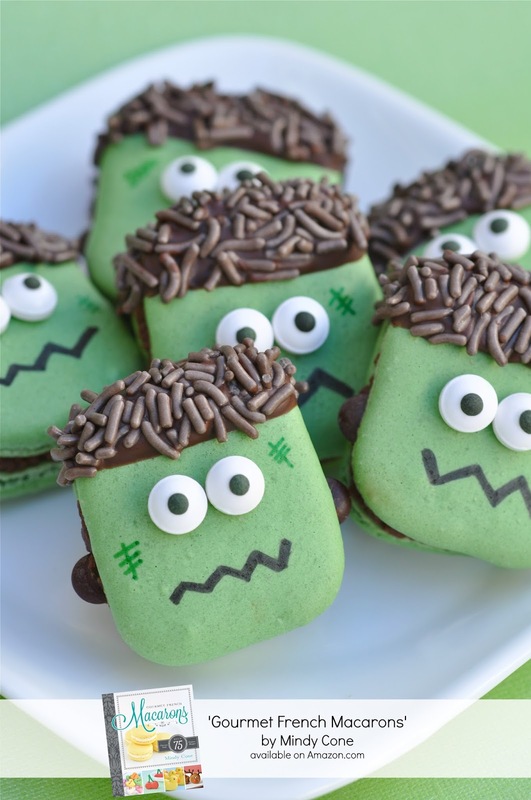 With Halloween around the corner I am loving these Frankenstein French macarons. I'm going to have to make some of these. As if I didn't like Creative Juice enough already, Mindy went and did a book promoting video and made me like her even more. She is just so adorable and is a natural in front of the camera. I tried really hard to post the video here but just couldn't get it to work. But trust when I say you do not want to miss this video. Click here to watch ! 1. Measure out all ingredients using a gram scale. 2. Prepare the baking sheets by lining them with a silicone mat or parchment paper. Slide a printed 1 1/2 inch template sheet underneath and set aside. Prepare piping bag to be filled and set aside. 4. Place the egg whites in a large bowl or in a stand mixer with wire whisk attachment. Whisk on low until egg whites become foamy. Add the pinch of cream of tartar. Continue to whisk until soft peaks form. Slowly add in the superfine sugar. Once all of the sugar is incorporated, scrape down the sides with a spatula. 5. Turn your mixture on medium-high and continue to whisk until you reach a stiff meringue. If adding a liquid or gel food dye, do so toward the end of whisking. 20 seconds on low power. Remove and stir. Repeat until chocolate is fully melted.